The symptoms of fibromyalgia syndrome can vary according to the weather. A study in 1981 looked at the affect of weather on fibromyalgia syndrome symptoms, and found that around 90% of people with fibromyalgia syndrome said that weather was one of the most important influences on their symptoms. Some people with fibromyalgia syndrome believe that their symptoms are a more accurate predictor of the weather than the weather forecast. The weather effects will not be the same for all people with fibromyalgia syndrome. Barometric pressure (the pressure of the air) can influence how people with fibromyalgia syndrome feel. Low pressure, leading to cloudy and rainy days, or to stormy weather, can worsen the symptoms of fibromyalgia syndrome, including increases in pain, stiffness and fibro-fog (cognitive and memory problems), as well as extreme tiredness. Some people find that it’s the change in pressure rather than the actual pressure that causes problems. A 1995 survey of people with rheumatic pain, carried out in the USA, showed a link between changes in barometric pressure and pain, with low pressure and cold wet weather increasing pain, and high pressure with clear, dry conditions reducing pain. Other studies have shown a link between fibromyalgia syndrome and the seasons, with symptoms getting worse in the winter and better in the summer. High pressure associated with clear, dry weather can help with fibromyalgia syndrome, and the increased hours of sunshine may lift people’s mood. In a 2008 study in Argentina, patients with fibromyalgia, osteoarthritis, or rheumatoid arthritis completed a diary recording pain. These reports were matched with weather conditions such as temperature, barometric pressure, or relative humidity. People in all the groups reported more pain when the weather was cold. The symptoms of people with fibromyalgia syndrome were most affected by high pressure. 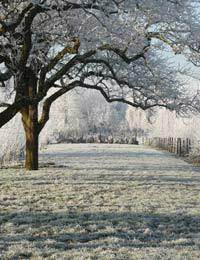 The onset of cold weather can make the pain and stiffness in fibromyalgia syndrome worse. Try to avoid getting cold if possible, and dress warmly, including hats, socks and gloves. Keep away from cold drafts, and block up any gaps in windows and doors at home or in the office. Cold drafts tend to make people tense up, especially around the neck and shoulders, stressing already sore muscles. Warm, sunny weather seems to help fibromyalgia syndrome symptoms, provided that it’s not too humid. The humidity (amount of water in the air) can have an effect on the symptoms of fibromyalgia syndrome. Some people find that high humidity triggers their symptoms, including headaches, as well as pain and stiffness. For some people, however, extreme dryness can also be a trigger. In cold weather, it can help to keep warm – wearing plenty of layers of light clothes rather than a few heavy layers can be more comfortable on tender pressure points, and makes it easier to regulate temperature by taking off a few layers. In warm weather, wear light and soft clothes, in natural fabrics were possible, to avoid overheating. Indoors, making sure that as much daylight as possible can get into the house can help, as can installing full-spectrum daylight bulbs, which give the impression of sunlight even on a grey and chilly day. I'm totally heat intolerant since I got fibro....makes life very difficult ..even visiting if people have their heating on..an I'm scared to go on holidays now . I find that when the weather's really cold, my skin gets really dry and itchy. Even a slight scratch, and my skin turns to a rash and gets red and sore. Using a thick moisturising cream usually helps. Thank you for putting the article up.